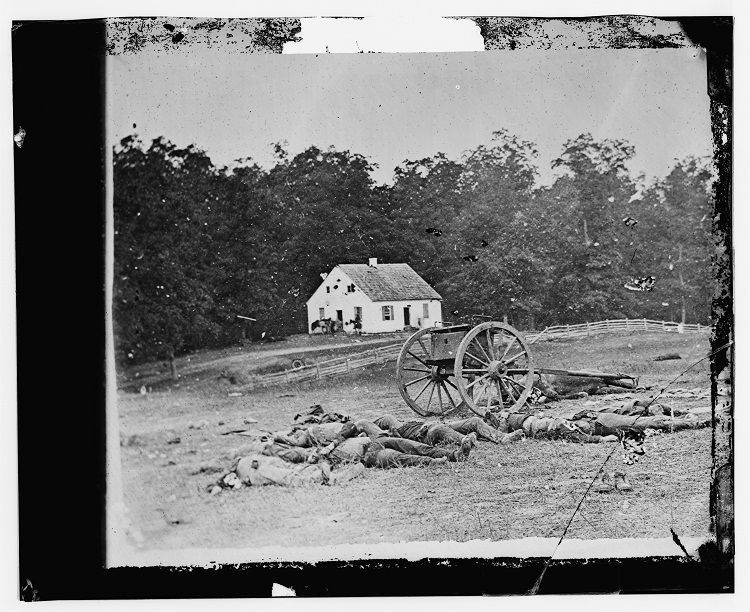 Dead soldiers litter the ground in front of the Dunker Church on the Antietam battlefield. I’m writing this on the 150th anniversary of the Battle of Antietam, now (and hopefully forever) the record holder as America’s bloodiest day. The casualties on September 17, 1862, were staggering. The Union had lost 2,100 dead, 9,550 wounded and 750 missing, for a total of 12,400. Confederate losses were 1,550 dead, 7,750 wounded and 1,020 missing, for a total of 10,320. The field of battle looked like a landscape from hell, with shattered guns, abandoned equipment, severed limbs and dead bodies scattered about in heaps. One soldier recalled passing a spot where a soldier had lost a leg. “It was laying there with shoe and stocking on the foot, the bloody and ragged end of the thigh showing the terrible force of the missile,” he wrote. A marker on the Antietam battlefield. 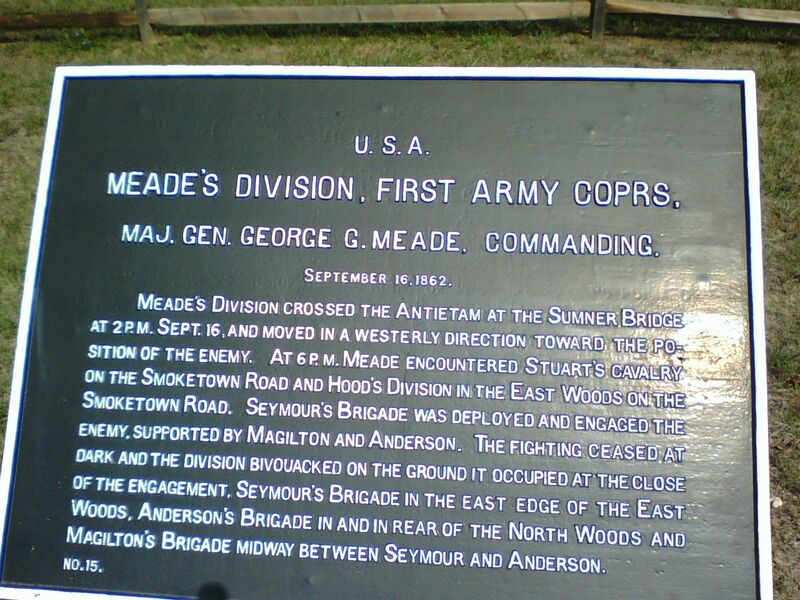 Still, there’s not much about Meade on the battlefield today. At the start of the battle he was only a division commander and even though he was in command of the I Corps by the fighting’s end it was only a temporary assignment. It looked good on his resume, though. Meade continued to prove himself as a steady presence and a fighter.